Long Beach is a popular destination situated in Los Angeles county. It lies on the Pacific coast and attracts thousands of tourists each week. The city is a leading maritime centre of the country and is very important to the local economy. The Port of Long Beach is the second busiest port of the United States. Visiting the area is made so much easier with car hire and there are plenty of facilities in the region. Long Beach Airport is situated six nautical miles northeast of the business district. It serves the Long Beach and Orange Counties. Earlier it was known as Long Beach Municipal Airport. It passenger service is very small when compared to Los Angeles Airport but there are around 3 million people using the airport each year. There are several transit agencies while going by bus to Long Beach. They are Long Beach Transit, Los Angeles County Metropolitan Transportation Authority, and Orange County Transportation Authority. It is composed of various neighbourhoods. Some of the neighbourhoods are Alamitos Beach, Arlington, Naples, Belmont Shore, Zaferia, and Hellman. Tourists who come to Long Beach use car hire to see the various sights which the city has to offer. It has a Mediterranean climate and has got strong semi-arid climatic characteristics. The temperatures are moderate as it is close to Pacific Ocean. Its location is directly east of Palos Verdes and is easily reached with car rental. It has also got some reputed educational institutions such as California State University and Long Beach City College. It has got several museums, most famous being the Long Beach Museum of Art, Museum of Latin American Art, University Art Museum, and the Pacific island Ethnic Art Museum. Street art is also something for which the city is known. Families will love a trip to the Aquarium of the Pacific which has the distinction of being one of the largest aquariums in the country. The Queen Mary is a significant Cunard White Star ocean liner and is also a popular tourist attraction. Its past includes being used for troop transport during World War II. Earl Burns Miller Japanese Garden is a Japanese garden as the name itself suggests spread over an area of over one acre. Naples Island features canals with expensive houses lining the canal. 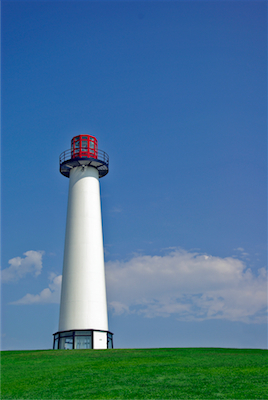 Long Beach is famous amongst tourists for its various museums and recreational centres. Travel in style with Long Beach car rental and you will not miss out on any of the main sights. Last month, the average car rental length at Long Beach Airport was 8 days. The average rental car length at Long Beach Airport is 7 days. The most booked rental car type currently at Long Beach Airport is INTERMEDIATE cars. Last year, the most booked rental car type at Long Beach Airport were FULL-SIZE cars. How much does it cost to rent a car at Long Beach Airport? Last month, the average car rental price was 361 USD. Last year, how much did it cost to rent a car at Long Beach Airport? Last year, the average car rental price was 261 USD. What is the current average daily price to rent a at Long Beach Airport? Last month, the average rental price was 46 USD per day. How much did it cost to rent a car at Long Beach Airport over the past 12 months? Last Year, the average rental price was 40 USD per day. The car rental companies available at Long Beach Airport are: Alamo, National. See below last 5 customer reviews. Our customers rated Long Beach Car Rental with an average of 0.00 based on 0 ratings.